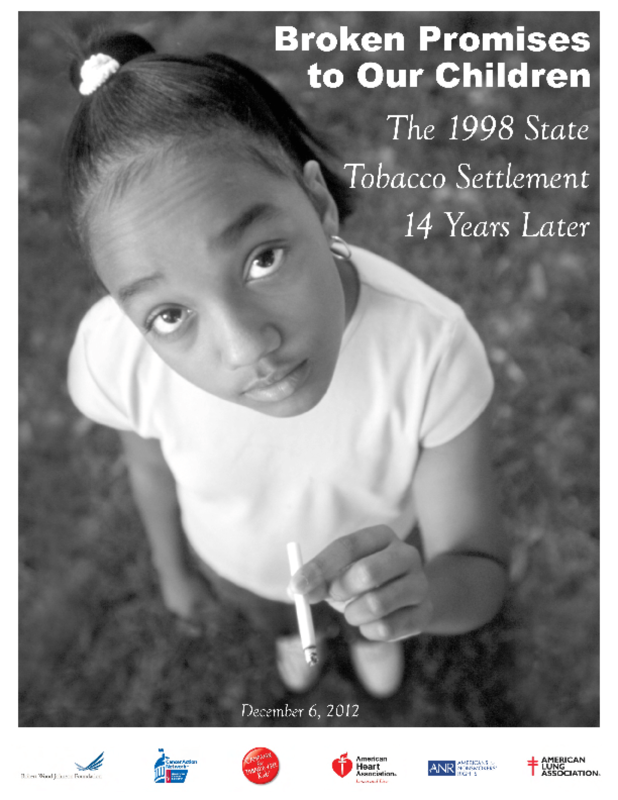 Since the states settled their lawsuits against the tobacco companies in November 1998, our organizations have issued annual reports assessing whether the states are keeping their promise to use a significant portion of their settlement funds -- expected to total $246 billion over the first 25 years -- to attack the enormous public health problems posed by tobacco use in the United States. In addition to the billions of dollars they receive each year from the tobacco settlement, the states collect billions more in tobacco taxes. In the current budget year, Fiscal Year 2013, the states will collect a record $25.7 billion in revenue from the tobacco settlement and tobacco taxes. This year, our report finds that states continue to spend only a miniscule portion of their tobacco revenues to fight tobacco use. The states have also failed to reverse deep cuts to tobacco prevention and cessation programs that have undermined the nation's efforts to reduce tobacco use. In Fiscal Year 2013, the states will collect $25.7 billion in revenue from the tobacco settlement and tobacco taxes, but will spend only 1.8 percent of it -- $459.5 million -- on programs to prevent kids from smoking and help smokers quit. This means the states are spending less than two cents of every dollar in tobacco revenue to fight tobacco use. States have failed to reverse deep cuts that reduced tobacco prevention funding by 36 percent, or $260.5 million, from FY 2008 to FY 2012. The $459.5 million the states have allocated this year represents essentially flat funding compared to the $456.7 budgeted in FY 2012. It is still far below the $717.2 million spent in fiscal 2008 and the second lowest amount states have spent on tobacco prevention programs since 1999, when they first received tobacco settlement funds. Copyright 2012 American Cancer Society, American Heart Association, American Lung Association, Americans for Nonsmokers' Rights, Campaign for Tobacco-Free Kids, Robert Wood Johnson Foundation.